If you’ve ever accidentally driven over a large patch of water at a reasonable speed, you may have experienced this temporary “sliding” or loss of direct control. Unfortunately, when you’re temporarily hydroplaning, your steering or braking inputs are severely less effective. Depending on the situation, hydroplaning can lead to total lose of control and even accidents or death. SO…with that being said, keep reading on how to avoid aquaplaning. Essentially, aquaplaning is an equation of physics. For some of us, physics class was fun, for others…not so much. BUT, regardless of your past experience with Physics, this short read is worth it to avoid an accident or worse! There are other factors that also contribute to aquaplaning, such as under of over inflated tires. 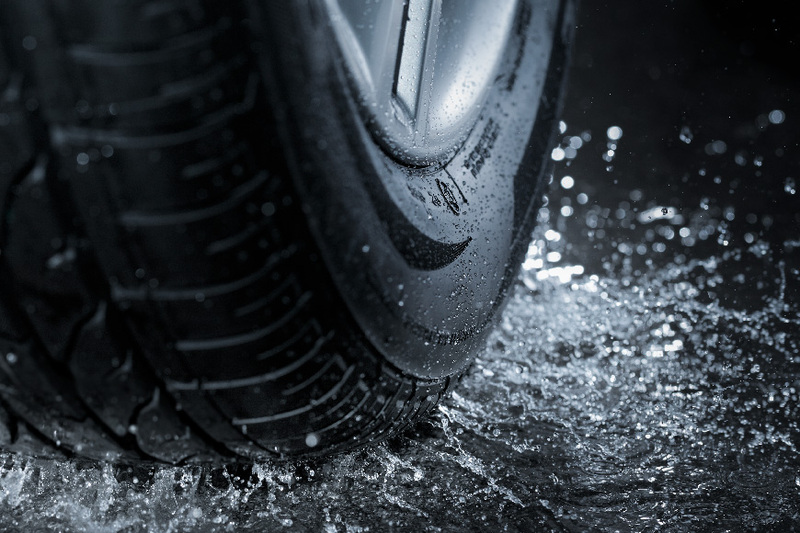 When your tires are under or overinflated, the shape on the tire “footprint” on the road is no longer optimum and the capacity to maintain grip in wet conditions diminishes. And there you have it! Be prepared, be aware, and respect the laws of physics – especially in the rain!